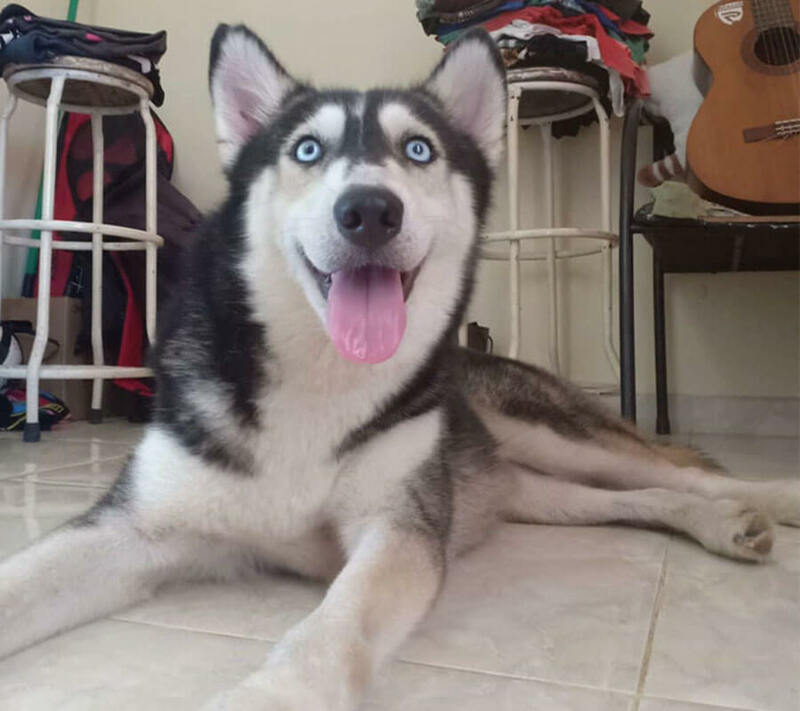 This Husky Was Found Moments From Death, 10 Months Later She Looks Like A New Dog! The Indonesian island is famed for being an attractive holiday destination, with stunning scenery and tropical temperatures. Between you and me, I wouldn’t mind escaping to a 5-star resort over there for let’s say… forever? Like most places though, Bali’s not without its problems. Tourism has become the focal point for a large proportion of the population as it brings in the most money, which means other issues often get ignored. 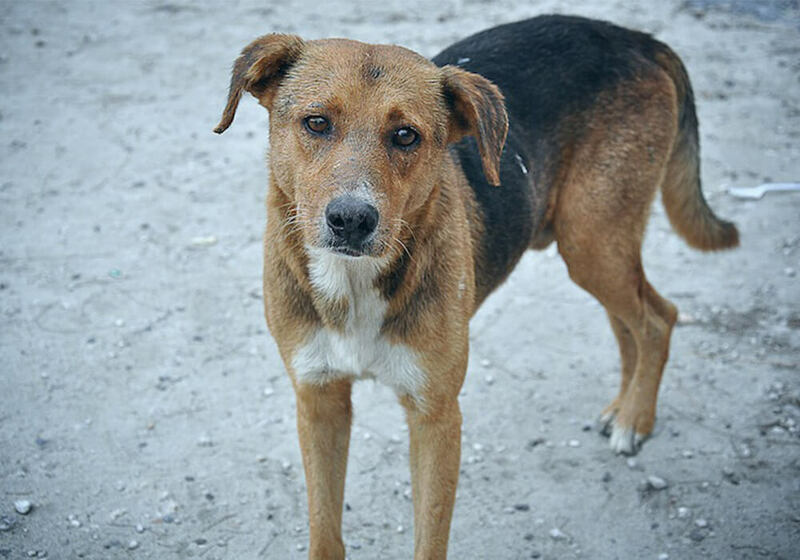 One example of this is the number of stray animals roaming the streets, specifically dogs. They’re freakin’ everywhere! Now, if like me, you’re a dog person… you might not think that’s such a big deal. I mean who wouldn’t want a bunch of cute puppies coming to say hello whilst you sit on the beach, golden sand running through your toes, sipping on a Pina Colada? Well you, if they’re covered in sores, unwashed matted fur and they smell like feces. Sorry, a bit graphic I know! 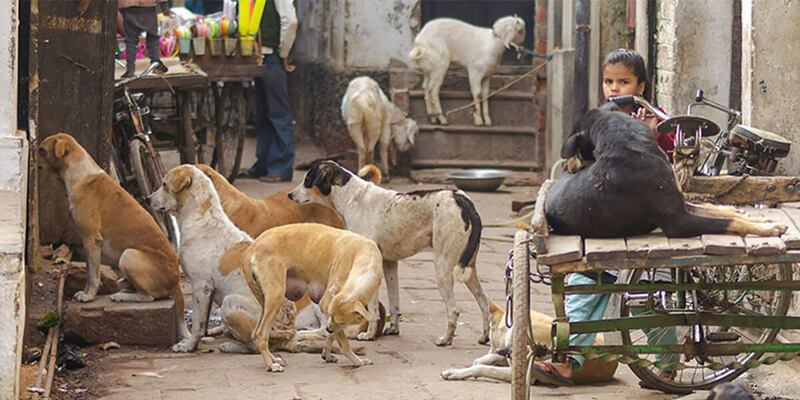 Whilst their uncleanliness poses a problem, the government has even bigger issues on its hands as it attempts to stop something serious like a rabies outbreak happening. 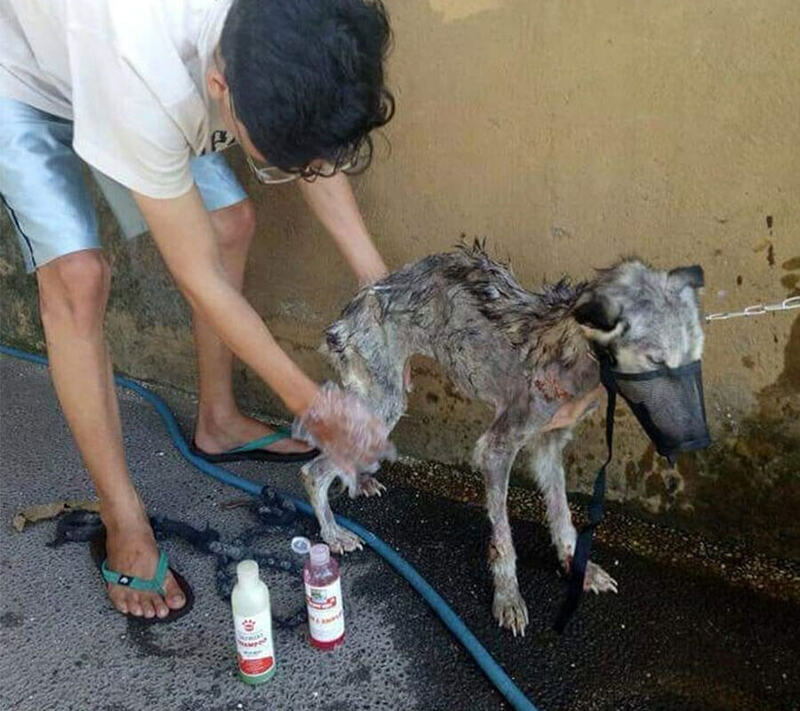 The canine situation has become so severe that locals have been seen taking matters into their own hands, in an attempt to give these poor pooches a better quality of life and an increased overall chance of long-term survival. 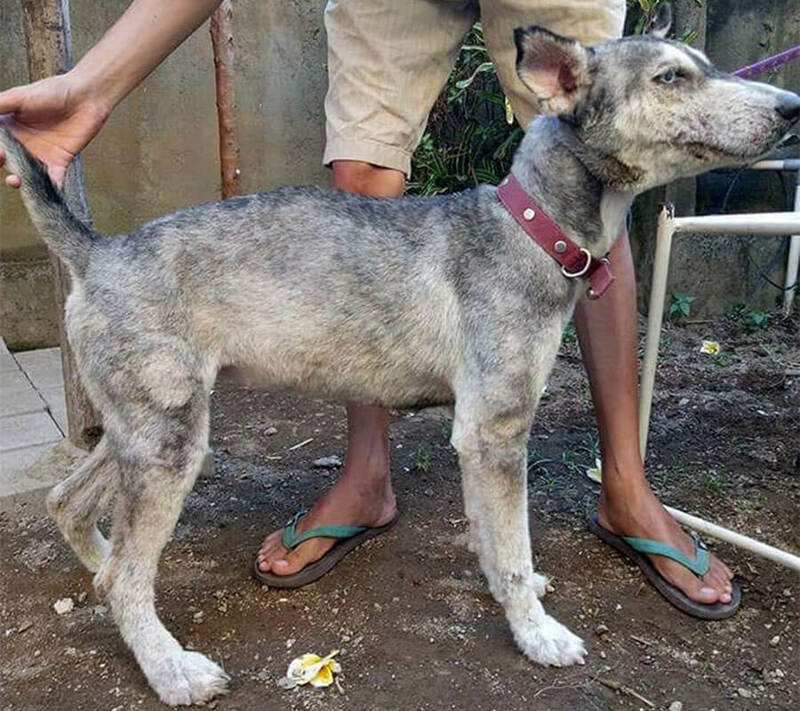 It’s worth mentioning that much of Bali’s indigenous population are of the Hindu religion and what’s significant about that is one particular story… A king named Yudhishthira is said to have approached heaven with his dog and as a result, many people believe that caring for pups of their own can see them carve out their own path to the holy land. That’s where this poor, neglected girl comes in. 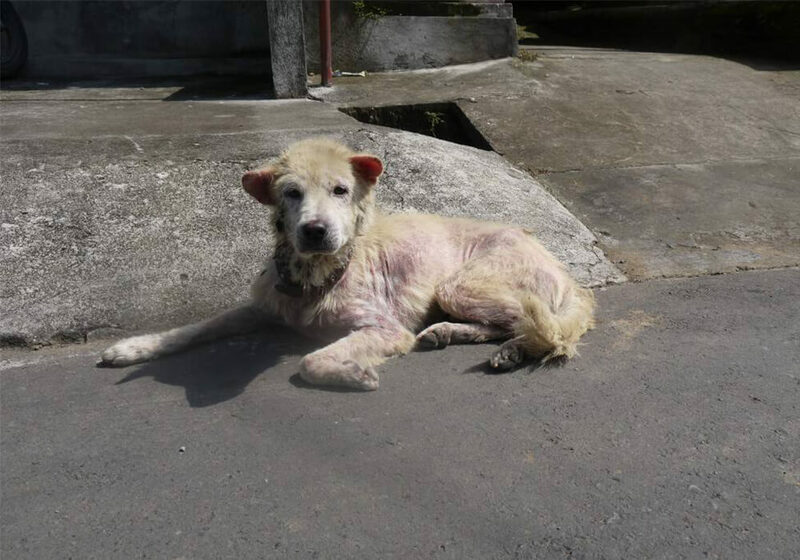 Her story is similar to many of the dogs roaming the streets of Kuta, Seminyak and a host of other towns and villages sprawled across the island- she had no home and no guaranteed source of food or care. 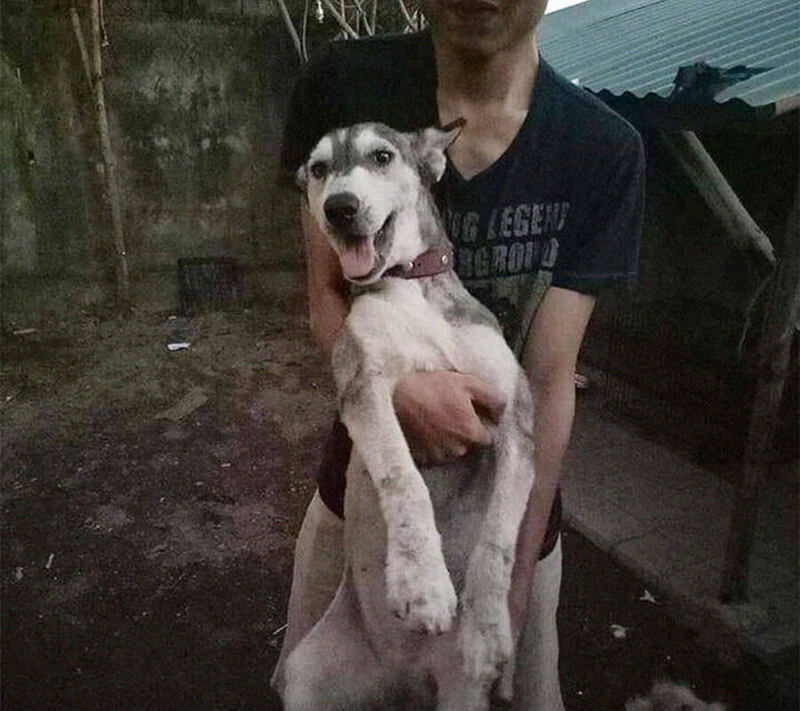 She was found by an inspiring guy called Rico Soegiarto in Denpasar, one of the most densely populated areas of Bali. 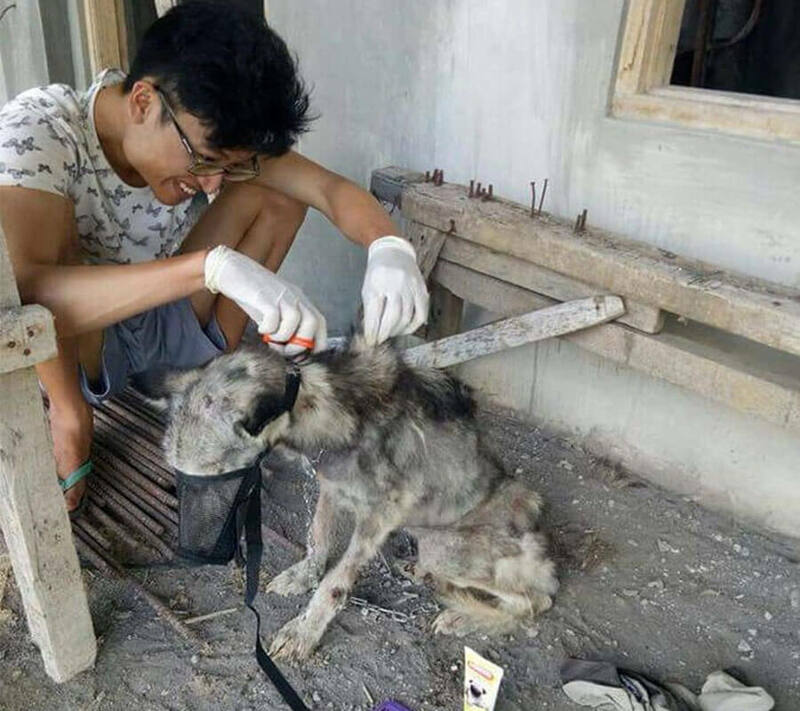 To put it lightly; this dog was on the brink of death. 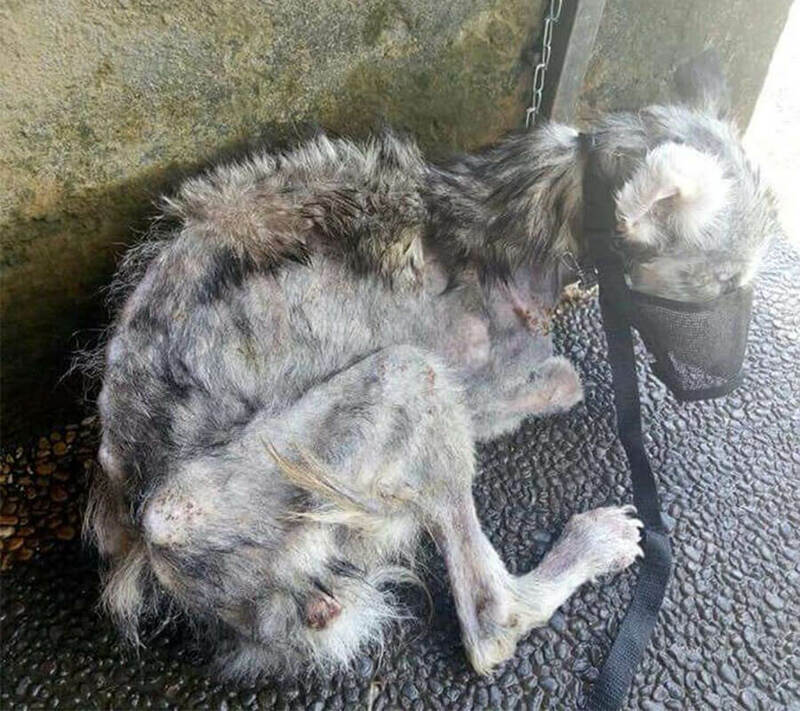 Covered in bald spots and so malnourished that her bones were clearly visible through her knotted fur. She was a walking skeleton. When she had the energy to walk that is. Devastatingly for the dog lovers out there, this is not uncommon here. 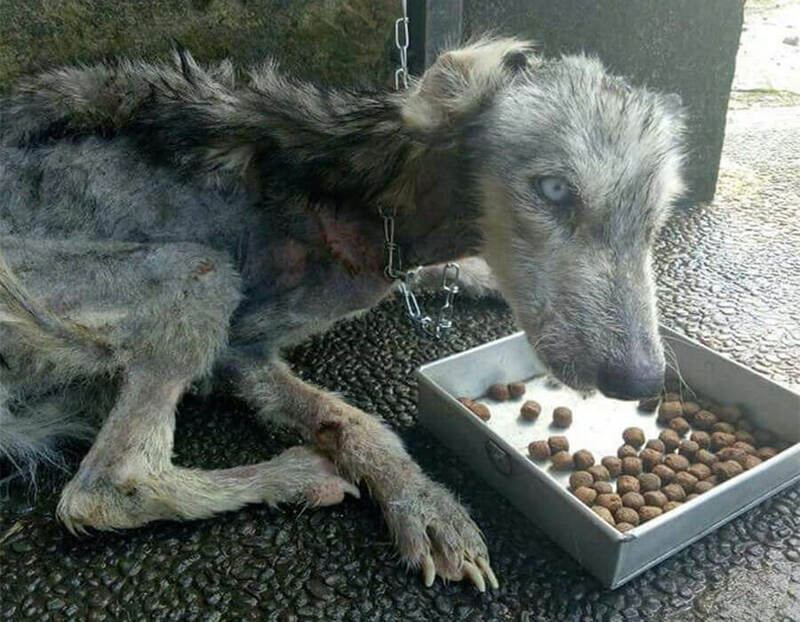 And it’s exactly because of this that Rico, 26 would’ve been forgiven for just carrying on walking and ignoring what many of us would have deemed just another lonely stray battling a lost cause. Instead, though, he did something amazing. He gave her a second chance at life. “I don’t know what was special about her,” Rico explained. Rico is an animal lover and already had 4 other dogs at home. So taking on a 5th probably wasn’t the smartest idea in the grand scheme of things, I mean dogs are costly to take care of after all. But just as Rico said, it’s about heart and feeling and he just couldn’t leave her there, sitting at death’s door. So, after an initial trip to see the vet, he carefully began nursing the dog, who he aptly named “Hope“, back to health in the safety of his own home. And slowly but surely… she began to put on some weight. Hope’s bright blue eyes started to shine even brighter as she began looking more like herself. “She loves getting petted and eats plenty of cookies!”. Despite Hope now enjoying the comfort of a loving home, Rico is still a little anxious about her safety. It’s only natural of course, for an owner to worry about an animal they love, and these two definitely share a loving bond! It’s an inspiring story for the animal enthusiasts out there and just goes to show that no living creature should ever be considered a lost cause whilst there’s still breath in their lungs. 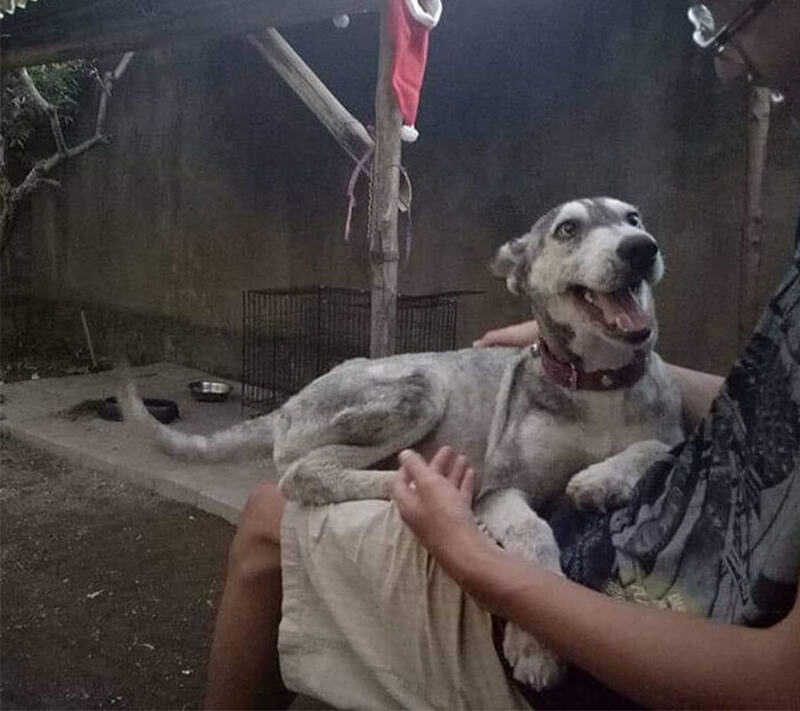 The stray animal problem is still at large in Bali and other areas of Indonesia, but it is at least comforting to know that there are people like Rico out there who are willing to make a difference. What’s more is there are charitable organizations and individuals actively looking to help improve the situation too. 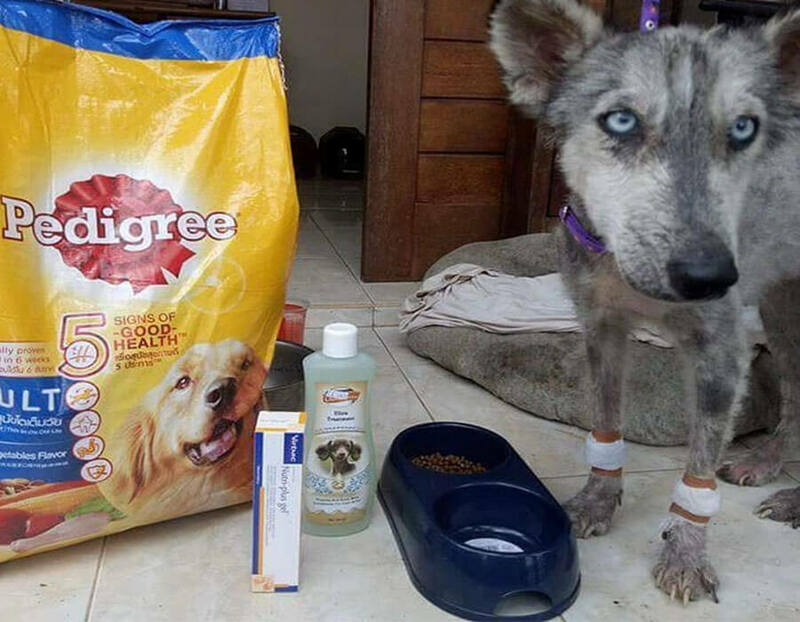 Check out BAWA (Bali Animal Welfare Association), who help save the lives of Bali’s unwanted, malnourished and sick animals if you’re interested to learn more. What do you think of Hope then Acidheads? Isn’t her story with Rico just brilliant? Let me know in the comments! P.S. 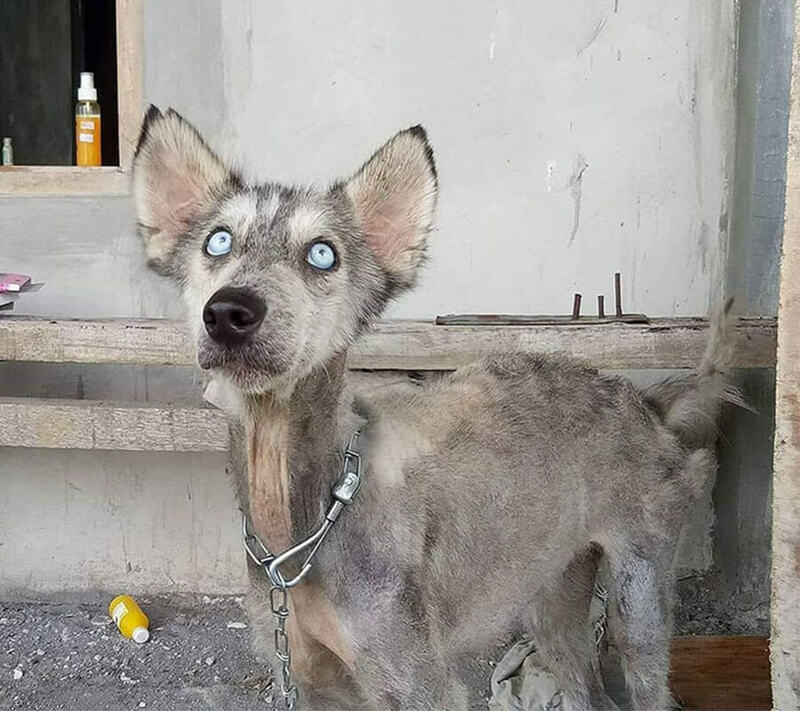 This is Hope now, she’s come so far in such a short space of time… just look at those eyes!